What a crazy February this year! From Footballs to Fastnachts, our little bakeshop has been bustling with excitement. With just a day to go for the Eagles' Parade, we're also just days away from Fastnacht. Yes, believe it or not, but "Doughnut Day", the traditional day to feast before the fasting of Lent begins, is less than a week a way. 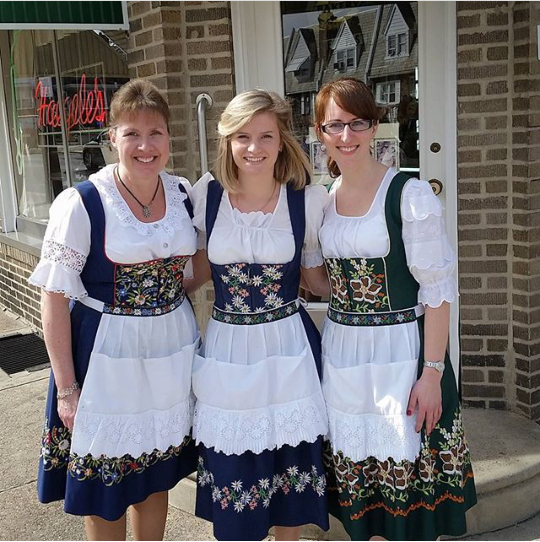 Our store will be open this Monday 7am-6pm and Tuesday 5am-6pm in full German fashion for the celebration of the Feast. Come join us for this fun tradition, that's celebrated in many cultures around the world. Mardi Gras, Carnivale, Fastnacht....there's alot of names and cultural traditions to this celebration but at Haegele's, it's Fastnacht and it's the one and only time of year we make our fastnacht doughnut! See you at the Feast!